Our PhD Programs aim at equipping young medical and natural scientists with the necessary knowledge and skills to succeed as competent researchers, capable of excelling in a scientific career devoted to the advancement of biomedical sciences. The PhD at Innsbruck Medical University builds on supervised three year research projects and formal course work and is organized in nine different thematic programs, with their specific research environments and complementary training of hard- and soft-skills. 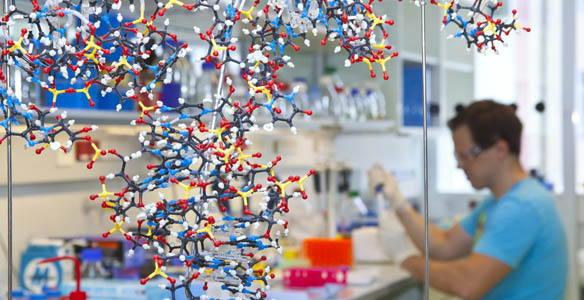 First-rate international research training and Innsbruck's unique location in the heart of the Alps make up an exceptional place to pursue a career in biomedical sciences.